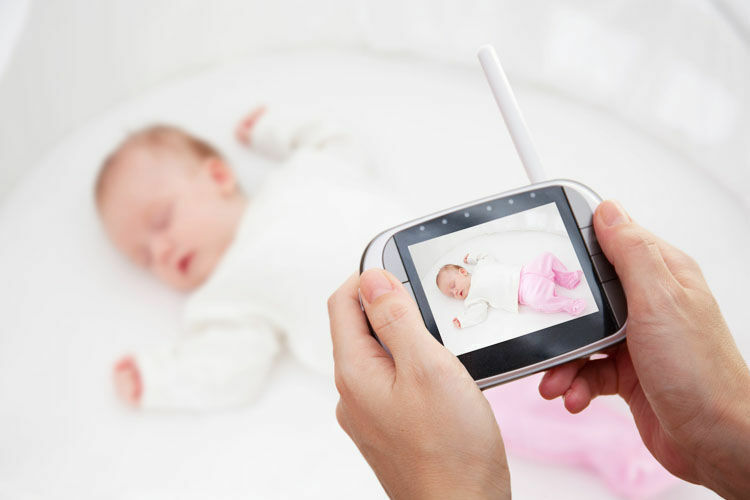 Changing a baby while out and about can be a fiddly procedure. And when a ‘code brown’ situation arises, there’s nothing worse than rummaging through your nappy bag for the necessities you need. This is where a change mat clutch comes in handy. 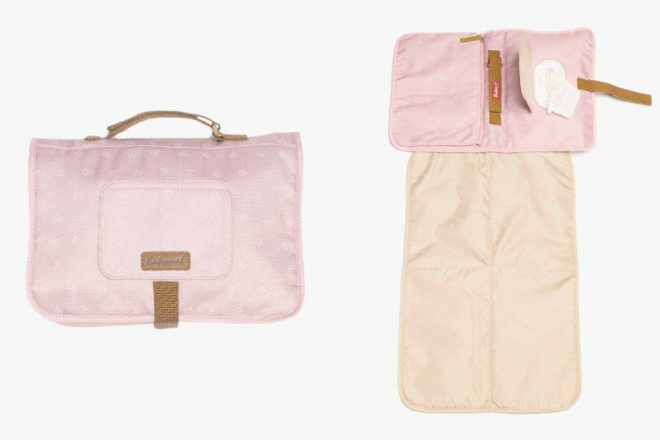 Complete with portable change mat and pockets for your changing essentials, the nappy change clutch is a must for mums (and bubs) on the move. We asked our Pregnancy and Baby group members to recommend the best change mat clutches available and these are the brands they recommended. 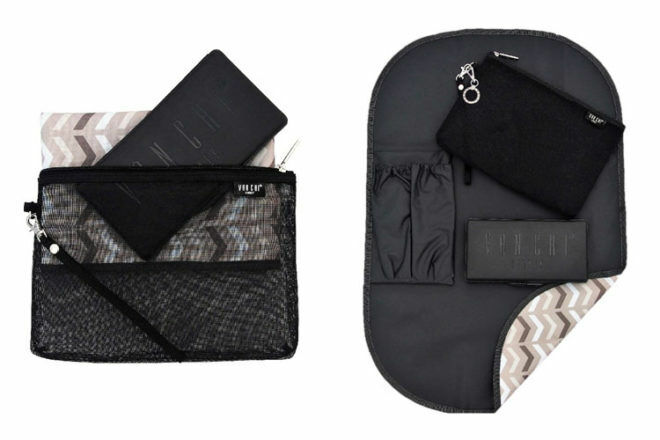 OiOi Change Clutch ($59.95): Big enough for all your changing essentials, yet small enough to pop into your handbag, the range of change mat clutches from OiOi tick all the right boxes. 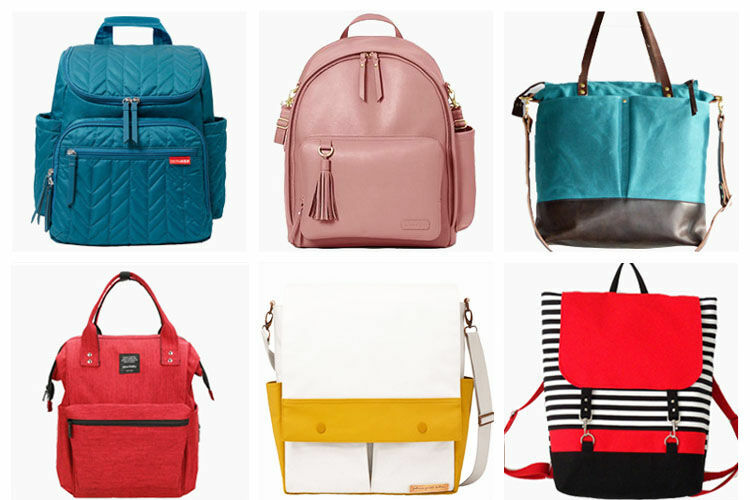 With over twelve styles to choose from, they’re ticking the style box too! Petunia Pickle Bottom Take-Along Changing Kit ($53.49): Thanks to a see-through mesh pouch, you’ll never forget your nappies again. 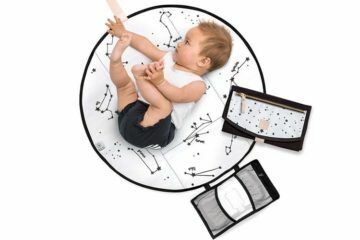 This compact change kit includes a sturdy case for wipes, a printed change pad and pockets for your itty bitty mummy-must haves. Love! 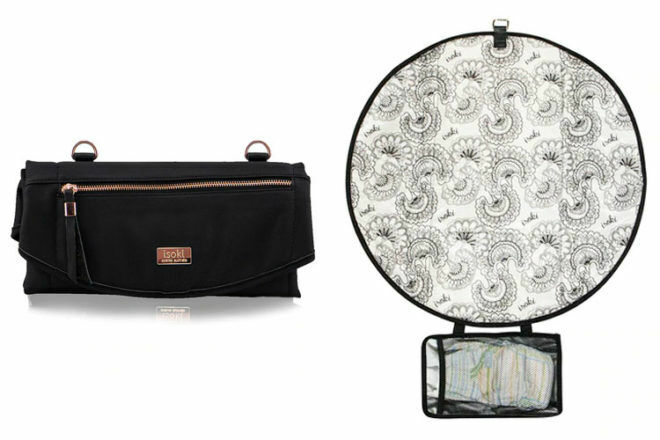 Skip Hop Pronto Changing Station ($49.95): The Pronto makes nappy changes easy for everyone. With all the features you’d expect from a change mat clutch, it’s the hidden extras that make this one a winner. Clip to your stroller or wrist with the handy strap, support bubs head with the in-built ‘pronto pillow’ and zip away the changing pad for independent use. 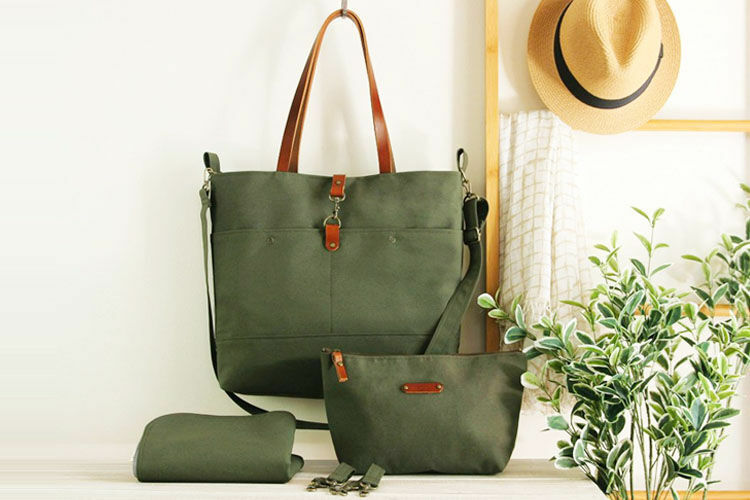 Storksak Mini-Fix ($70): Storksak have transformed the nappy clutch into a cross-body bag with the cute and compact Mini-Fix. 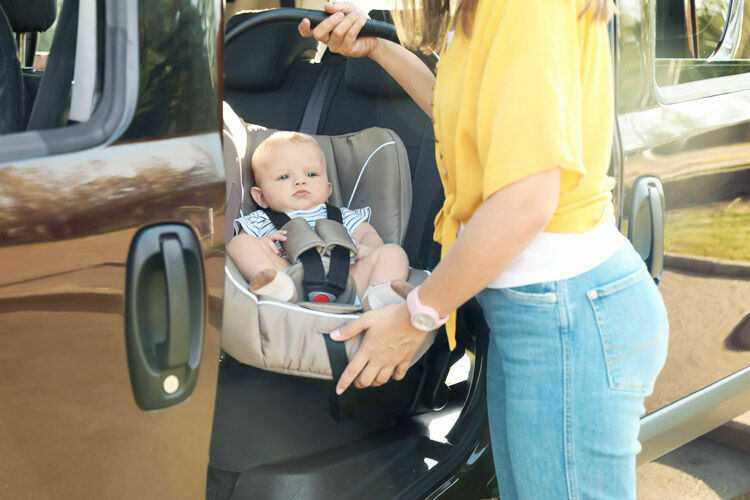 There’s a front panel dispenser for fresh wipes, a middle section for nappies and creams and a back slip pocket for your padded change mat – it’s the perfect accessory for quick trips and changes. 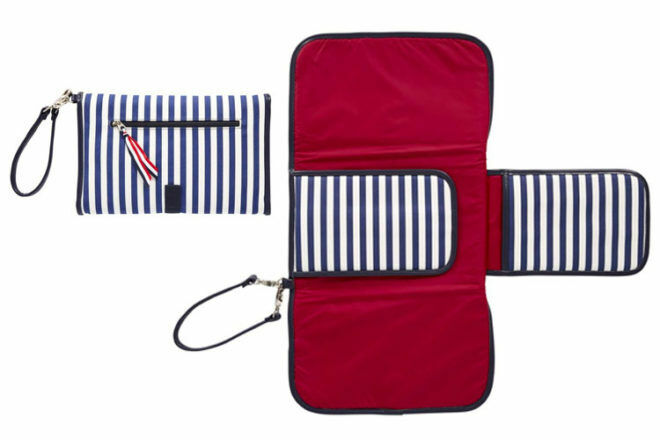 Isoki Change Mat Purse ($39.95): The latest look from Isoki is the Adelaide change mat purse. Designed to look more like a purse than your ]average’ change mat clutch, the design is sleek with a slim shoulder strap and rose gold hardware boot. 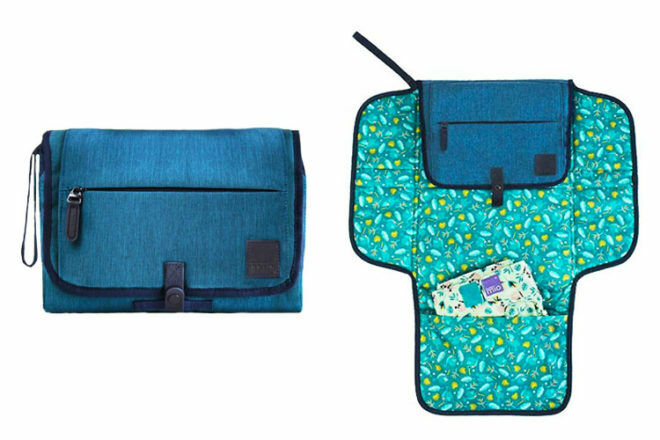 Inside you’ll find a round change mat for bub and two mesh pockets for your bits and bobs. 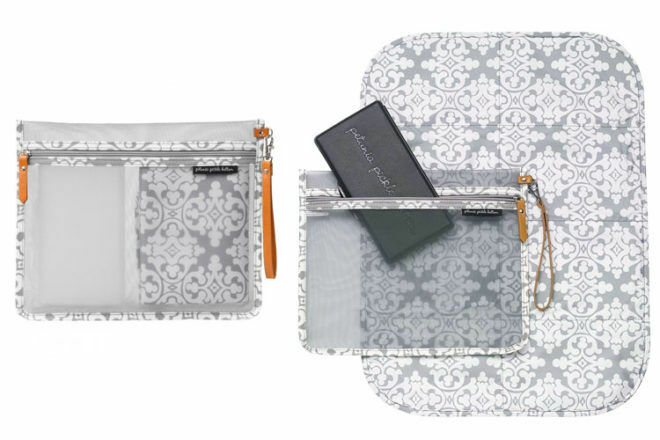 JJ Cole Change Clutch ($29.95): A classic clutch that lets you disguise the fundamentals for changing on the run. 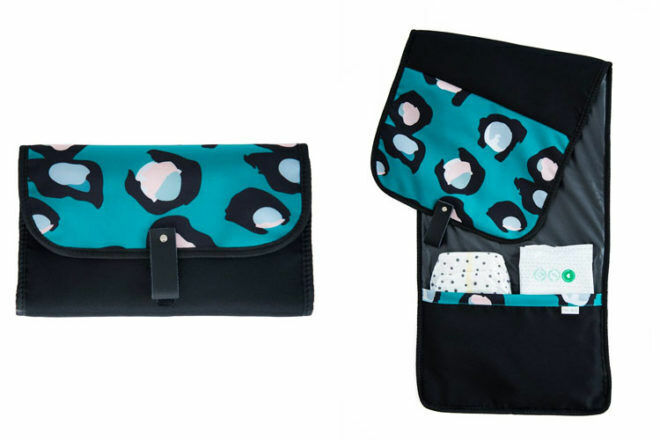 Unfold to find a clever pouch for wipes and nappies as well as the super-sized changing pad for baby to lie on. Simply wipe clean and fold away! Pretty Brave Roundabout ($76.95): Pretty Brave do more than killer baby shoes. Their monochrome change clutch is as much about functionality for mum as is it about fashion. 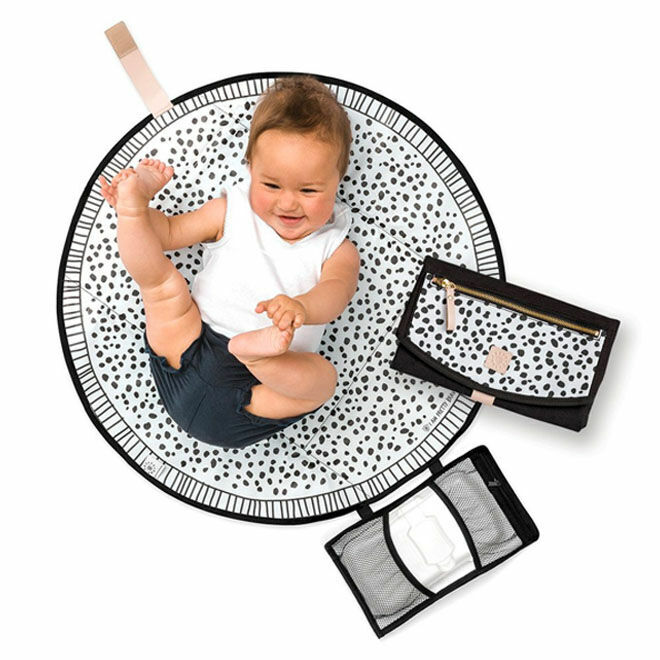 Simply unclip the mesh pouch (with added pockets for wipes and nappies) from the clutch and you have a playmat ready for tummy time adventures. 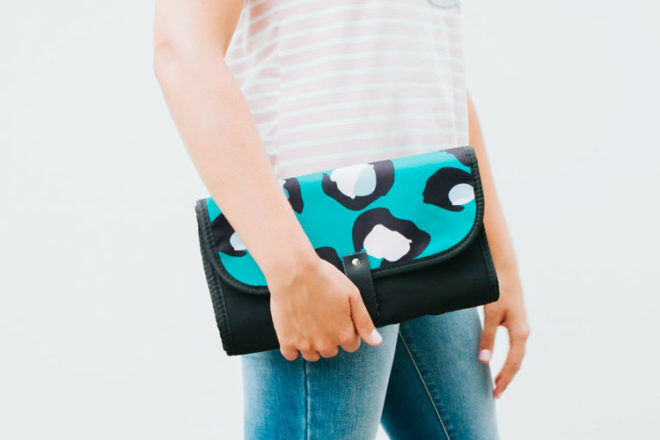 Little Milko Change Clutch ($49): Made from durable printed canvas, we’re swooning over the slick roll-up change clutch by Little Milko. The extra long change mat is padded for your babes comfort and fitted with pockets to hold everything you need. Fuss-free changes just got a little more fabulous! Babymel Change Station Origami Heart ($39.99): Water-resistant with faux leather trim, the dusty pink change station from Babymel combines practicality with pretty little details. Tie the top strap over your stroller handlebar or slot the sweet clutch under your arm for when duty calls. Vanchi Grab & Go ($39.95): Whether you’re popping to the shops or heading to your local cafe, the Grab & Go is here to make mums life easy. 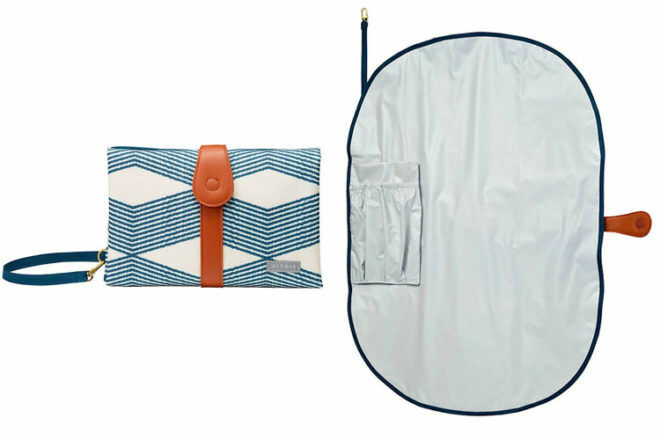 The mesh pouch houses a monogrammed wipes case and a large change mat (with sewn-in pocket for nappies and creams). 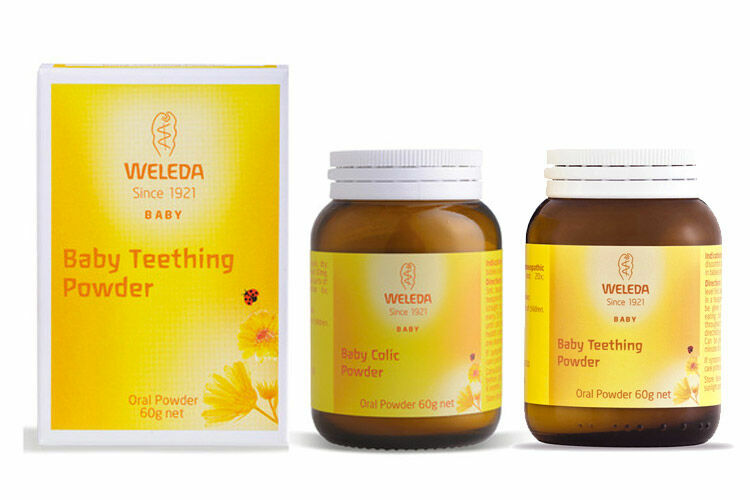 Clip to your pram or carry under your arm – it’s all about convenience. 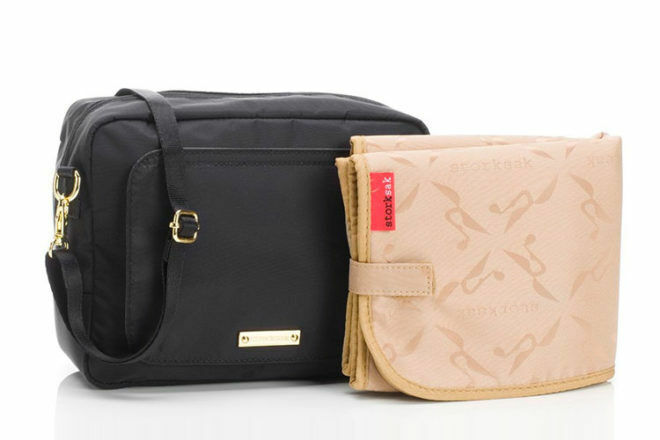 Bambino Mio Grab & Go Change Wallet ($49.99): Lightweight and compact, the Grab & go Wallet makes changing baby a breeze. A large built-in pocket has been designed for storing disposable or cloth nappies while the padded change mat is extra-wide for those extra-wriggly bubs. 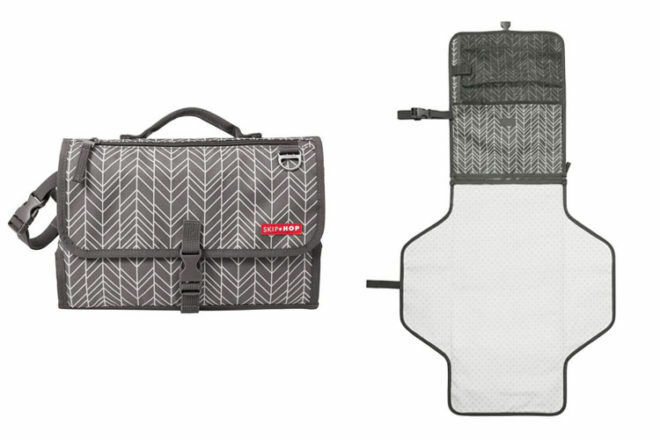 Searching for the best change mat clutch and still not sure if any of these are right for you? 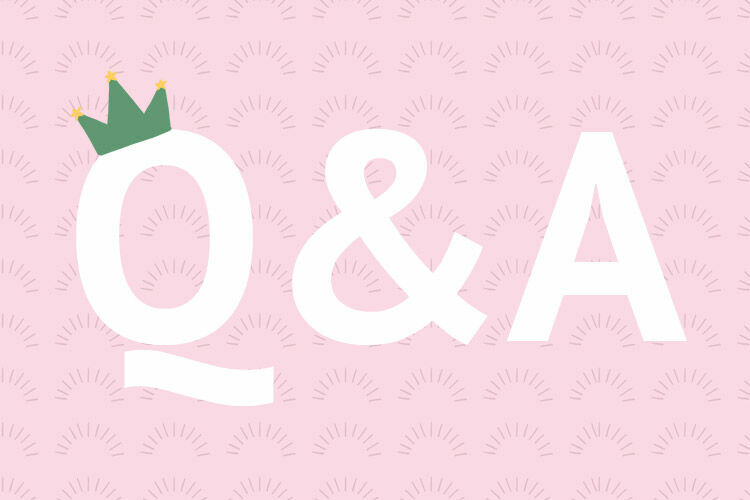 Continue your search online by jumping into one of our closed Pregnancy or Baby groups and ask thousands of other Australian mums what they recommend – ‘What to buy’ is the most talked about topic, followed by MIL vents!